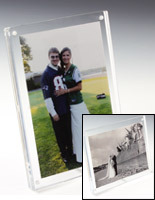 These clear acrylic print frames can hold images that are 2" x 3" or 4" x 6". 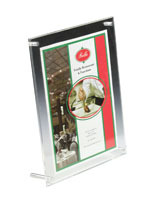 The picture holders present the graphics in portrait or landscape orientation to best showcase the advertisements. 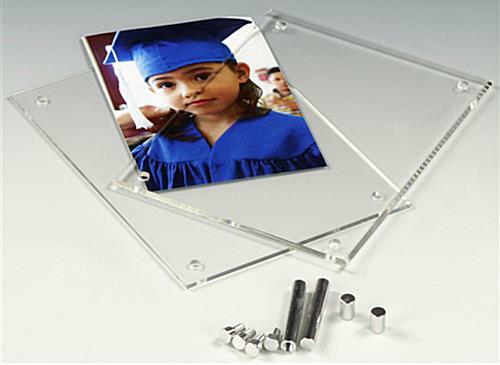 Print frames with binding screws, also called photo displays, are suitable options for home or business use. 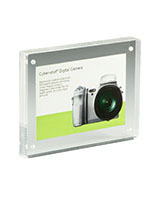 Picture holders come with two 1/8" thick Lucite panels and 4 sets of nickel plated binding screws for easy assembly. 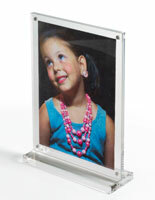 Frames have polished edges for a sleek and modern appearance on almost any flat surface. 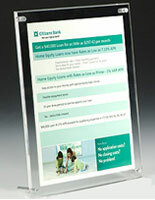 Photo displays can be used for posting portraits, menus or pricing information. 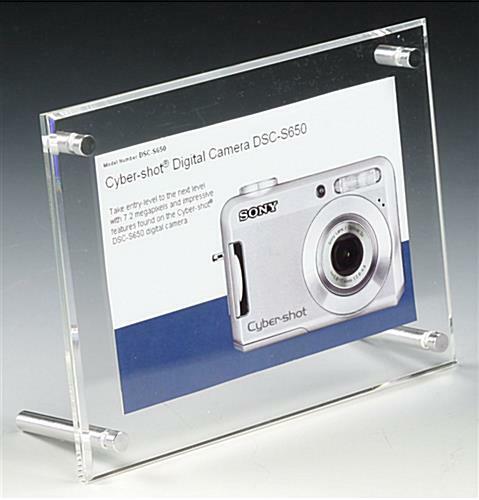 I ordered 27 of these frames and they were very prompt in delivery and look great. 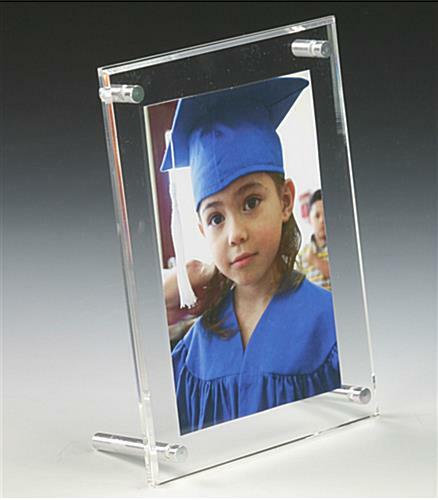 One of the frames came without the longer metal pieces that keep the frame together. 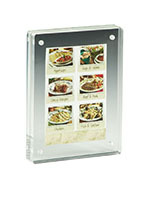 I still have enough for the group but there is one frame that I am unable to really use. This is so great to hear! 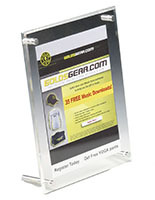 Thanks so much for shopping with us and taking the time to review. Posted one year ago by Kelly P.